What is co-packing, kitting and assembly? Co-packing is an effective measure to cut down on assembly costs. We can work with your manufacturing facility, which does part of your packaging job while we do the other part to make a complete package or display. Packaging instructions for assembly are outsourced to distribution centers - where the product is produced completely. For example, you can send us a filled product and we would deliver a completed packaging display. Kitting may be used in conjunction with co-packing to arrange your products/components within a single selling unit. Co-packing and kitting may be done in a variety of ways, such as placing your product into thermoformed/corrugated inserts, poly-bagging, stand-up pouches, decorative baskets, setup boxes or any other sort of promotional kit or package. The possibilities are truly endless. Assembly services are the most diverse area in packaging. An assembly packaging service is basically handiwork that machines cannot do. Sometimes custom products have specific needs that machines cannot perform, like assembling multiple products in one selling unit. Assembly services may require assembling parts together, creating kits and product sets such as tool arrays, makeup kits and gift sets. Assembly services may also include parts that need to be glued or secured, and providing small bags that contain small accessories. What are the advantages of co-packing, kitting and assembly? Assemble and package your product in your own time frame, produce the product in your own facility or select any other locations. Great for kits and sets. Ideal for arranging many different products in sets/kits that machines cannot do. We can pick up your product directly from the manufacturer. We can collaborate with your manufacturer or subcontractor, follow your work process and complete your job for you. We can manufacture your other components and complete the display packaging faster. We can provide co-packing as a turnkey service so you don’t have to deal with several sources, conflicting timelines and pressing deadlines. We can deliver your co-packed job to distribution centers or deliver to your dock. Because our assembly lines are not set in stone, we can mobilize a custom assembly line to meet your project's specific needs, which will also allow us to meet your deadline, too. Custom mobile assembly lines give us a major advantage over larger companies that often cannot compromise assembly lines for easy mobility. We can assist in picking up products from ports or shipyards or airports. We can avoid labor hassles and equipment purchases. We can run 2 or 3 shifts if necessary. We can run your job at multiple locations. 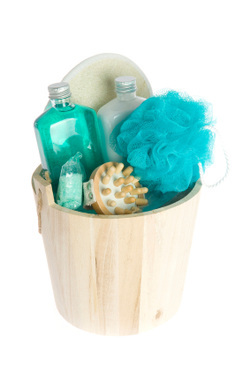 We can kit one or several items into display boxes or gift sets. We can supply internal or other package components like thermoformed inserts, corrugated inserts, fillers, die cuts, foam packaging. We can run multiple lines for versatility and flexibility for more complex kitting. We can provide complementary services to produce a better end product, such as shrink/cello/wrapping, sleeve bundling, auto bagging and more. We will handle your products in a sanitary way, in a dust free environment, by using hair nets, gloves and any other sanitary equipment required. We will also provide an initial mockup/prototype for any service where applicable.